Windows 8.1 is here. Now what? Start me up: The Start button is back in desktop mode, although not the way it was before Windows 8 came along. In Windows 7 and before, a click on Start would have brought up programs and important folders in a list. Now, one tap on Start flips you back to the new tile interface, where you can click or tap tiles to open programs. A long press brings up crucial settings such as the Control Panel. Boot to desktop: You can now start up the machine in desktop mode, bypassing the tiles for a short time. That removes some of the headache for companies that want to use Windows 8 but don’t want to buy a touch-screen monitor for every employee. Onscreen keyboard swipes: The onscreen keyboard now includes the ability to type numbers or punctuation marks by swiping up or away from certain keys on the standard “QWERTY” layout, eliminating the need to toggle between numeric and alphabetic layouts. You can also select from suggested words mid-stream using side swipes and taps on the virtual spacebar. Gesture-enabled apps: You can now wave in the air in front of the front-facing camera to get a response. For example, in the new app Bing Food & Drink, a right-to-left wave in “Hands Free Mode” flips through pages of a recipe. Quicker tile organizing: You can tap and hold Windows tiles with your finger to move them. Another couple taps will allow you to resize them in one of four sizes. In the previous version, you had to go back to the mouse or touchpad and right-click on tiles to do this, and you were limited to two sizes. Easier apps access: Finding all your apps takes just a swipe up on your start screen, as long as you don’t do it from beyond the bottom edge. Before, you had to swipe up from the bottom edge, then tap on the All Apps button. Automatic updates: Apps update in the background, replacing the constant reminders to go to the Windows Store to update the apps yourself. Smaller tablets: Windows 8.1 now has a home screen that looks good in portrait mode on screens measuring 7 inches to 8 inches diagonally. Lock screen access: You can now answer Skype calls or take photos from the lock screen without having to log in. Just swipe down. You can also set other apps like Twitter to send notifications when the screen is locked. Better multitasking: In Windows 8.1, you can run up to four apps at once side by side, double the previous amount, though you need a large, high-resolution monitor to do so (On their own, Microsoft’s Surface tablets are not big enough for more than two). You can resize panes using a slider that moves side to side, instead of being limited to one larger window and one slender one. This is still not as capable as Windows 7 or in desktop mode, where you can open dozens of items in windows that can be resized horizontally, vertically and diagonally. And many app makers have yet to adapt, meaning some apps still appear as a thin sliver, even if you want them to take up half the screen. Global search: Typing while on the tile-based start screen will pull up multiple search results — if applicable — from your computer, the Web and the Windows app store. If you’re searching for a musician, you’ll see a list of popular songs you can play using Xbox Music, and if it’s someone famous (like President Barack Obama) you’ll see biographical details, videos and other information. Before, you had to choose where to search: in apps, settings, computer files or on the Internet. Better browsing: No longer are you limited to 10 open tabs in the tile version of Internet Explorer. Before, Web pages automatically closed without prompts when you try to open more. You can open as many as you want now. Better yet, you can have two different websites displayed side by side, the way you’ve long been able to before Windows 8 came along. Xbox music refresh: The music streaming app now optimizes playback over discovery with a layout that has more lists and smaller photos. It also adds the ability to create playlists from any website with a couple taps. When on a website featuring artists, swipe in from the right edge and tap the Share button followed by the Music button. It will create a song playlist based on those artists, which you can then stream for free. Picture editing: A picture editor with pre-set effects comes with the update, allowing for photo touchups, cropping, contrast changes and other features. Xbox One integration: You can pick up where you left off if you start playing a video purchased on Xbox Video on a tablet and then watch the rest on Microsoft’s upcoming game console, Xbox One. Before you upgrade, know what data you can or can’t transfer from a previous installation. Do you have Windows XP computers or laptops in your business?? If yes please read the important information below.. If not great news you are up to date and we are sorry to have bothered you. 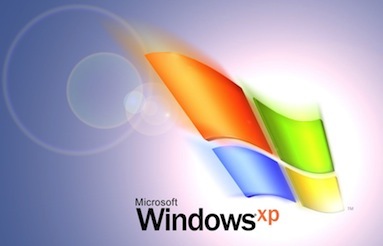 Thus, Windows XP SP3 and Office 2003 will go out of support on April 8, 2014. If your organisation has not started the migration to a modern desktop, time is running out!! To ensure you remain on supported versions of Windows and Office, you should begin your planning immediately to ensure your old desktops have been replaced by April 8, 2014 before end of support. Security & Compliance Risks: Unsupported and unpatched environments are vulnerable to security risks. This may result in an officially recognised control failure by an internal or external audit body, leading to suspension of certifications, and/or public notification of the organization’s inability to maintain its systems and customer information. Get current with Windows and Office. This option has upside well beyond keeping you supported. It offers more flexibility to empower employees to be more productive, while increasing operational efficiency through improved PC security and management. It also enables your organization to take advantage of latest technology trends such as virtualization and the cloud. There are many options for small and medium businesses considering moving to a modern PC with the latest productivity and collaboration tools. Contact us today to understand the best options that meet your business needs. If your current PC meets the system requirements for Windows 7 or Windows 8, one option is you can also buy Windows 7 Professional or Windows 8 Pro upgrades from us. If your PC does not meet system requirements, consider purchasing a new business PC with Windows 8 Pro. Contact Chris Lowe today on 0121-561-4477 or sales@idealtechnology.co.uk to arrange a review of your requirements so a plan can be made. This lowers the cost to only £1.33 per PC per month and for this you get Word, Excel, Powerpoint, Outlook, Publisher & Access which is tremendous value! Want to know more about Office 365 for your home or business then just call us on 0121-561-4477 to discuss your requirements. Office 365 Home Premium is the best value for an entire household. Get the smartest, most up-to-date applications and cloud services on up to 5 PCs, Windows 8 tablets, Macs and select mobile devices. 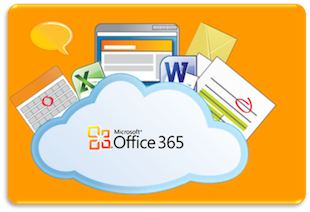 Office 365 Home Premium provides Microsoft Office programs with a difference. It features Microsoft Word, Outlook, PowerPoint, Excel, OneNote, Publisher and Access 2013, for use on up to five PCs or tablets. 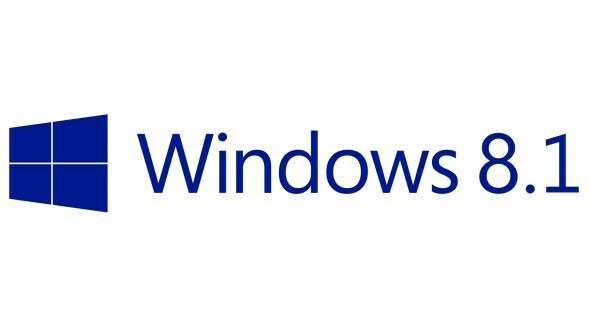 Sign in and open applications, documents and custom settings on any Windows 7 or Windows 8 PC with an internet connection. With this Office suite you can work on your documents at home, in the office, or on your laptop while on the move. If you ever “lose” a computer to a virus, most technicians will advise you to wipe the drive clean and reinstall everything. Backups can be a life-saver in these extreme cases. Backups can let you save and organize the really important things, so you don’t have to worry about what the zombie lovers might do with your data. http://idealtechnology.co.uk/wp-content/uploads/2013/08/backupbundle1.gif 278 412 sb http://idealtechnology.co.uk/wp-content/uploads/2017/11/logoid17t.png sb2013-08-07 13:15:592013-09-21 10:02:26Have you backed up your data today?